Trace the history and influence of German settlers during this full-day, guided, multi-stop sightseeing tour in Frutillar. 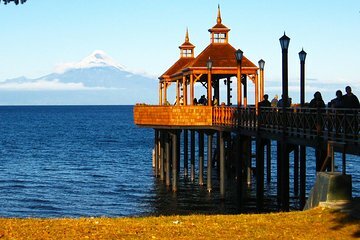 Situated next to picturesque Llanquihue Lake and in view of the Osorno Volcano, this city’s homes and buildings are done in German architectural style. Learn about Frutillar’s history and visit the German Colonial Museum.